Some Independent Study Projects keep New College students close to campus; others take students across the country or even to Europe. 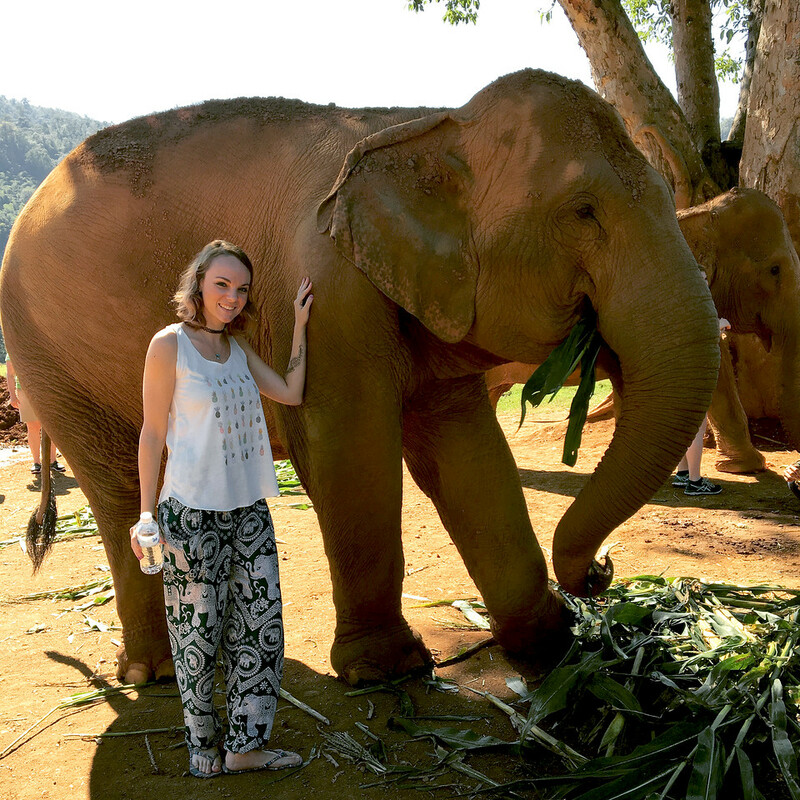 Third-year student Stacia Mintner went halfway around the world, spending two weeks in Thailand getting hands-on experience providing veterinary care for large animals, including elephants, horses and water buffalo. “It was an amazing experience,” the 21-year-old Biopsychology AOC said. Her trip was arranged through the organization Loop Abroad. Mintner and other students spent their first week at the Animal Rescue Kingdom dog shelter in Chiang Mai, assisting with check-ups, diagnosing and treating ear and eye problems, taking and testing blood, administering vaccines, cleaning and treating wounds, and helping with spay/neuter procedures. The second week was spent at the Elephant Nature Park in northern Thailand. “We did diet studies on one elephant that had been used in logging operations,” she said. “Most of the animals there were rescues,” abused animals formerly owned by loggers, tourism operations or circuses. “Three of the elephants we treated had stepped on land mines,” casualties from the conflict in neighboring Myanmar. Mintner had a leg up on the other students in the program. Already a veterinary technician, she has experience working at a small zoo near her home in Indiana, as well as the Big Cat Habitat in Sarasota. “So I was actually able to do some instruction while the vet worked with other students,” she said. Stacia says her biopsychology studies allow her to focus on her specific interest in veterinary medicine. “Most program don’t study animal behavior as much as they do medicine,” she said, adding that studying neuropsychology and behavior science will help her toward her ultimate goal of becoming a veterinarian specializing in exotic animals.